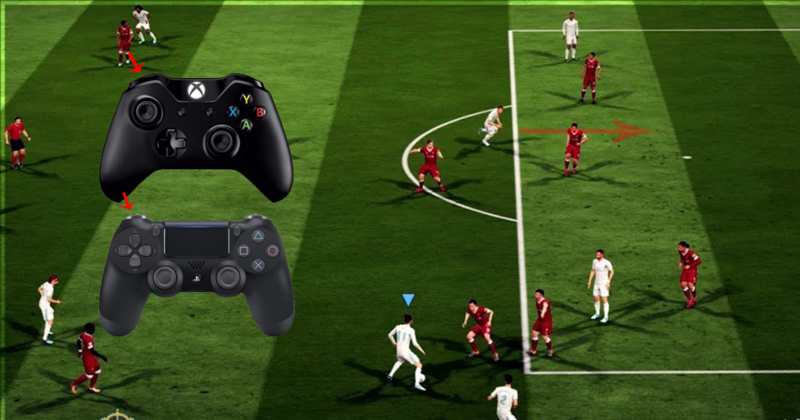 FIFA 19 is one hell of a game considering the options you have controlling your team’s players. 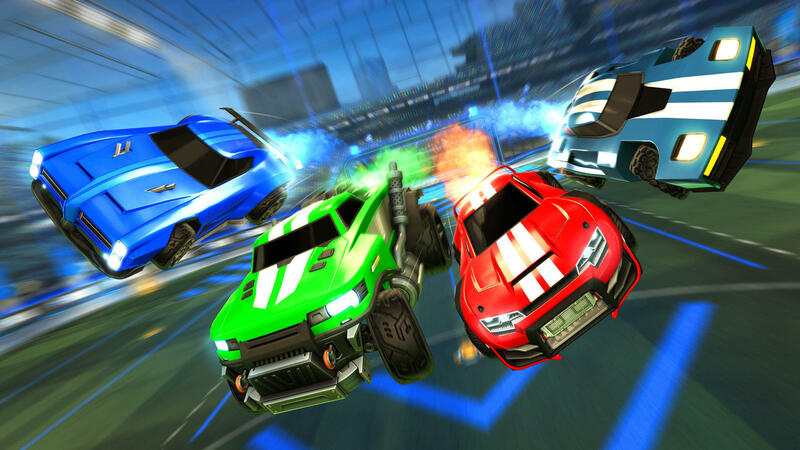 After finishing your first couple of games playing with AI opponents, you might be tempted to hop online and show the skills you’ve learned. However, playing against others, most tactics might not work. 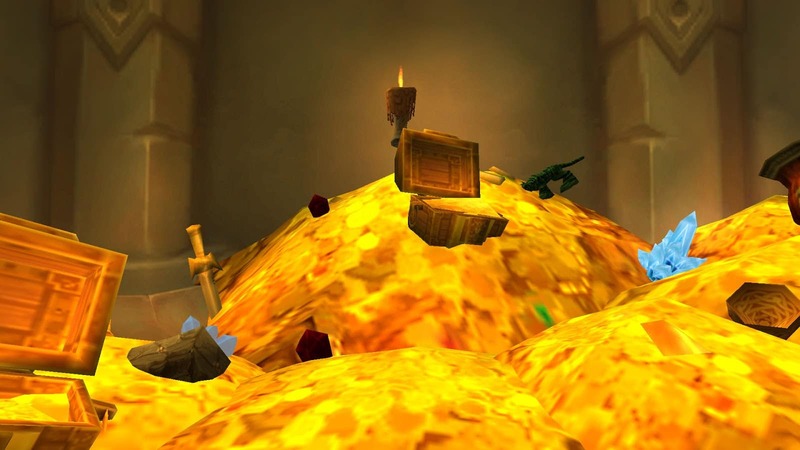 Having this in mind, we’ve prepared a list of tips to help you out while trying to defeat your friends. When you fail to defend from opponents attack, don’t give up just yet. 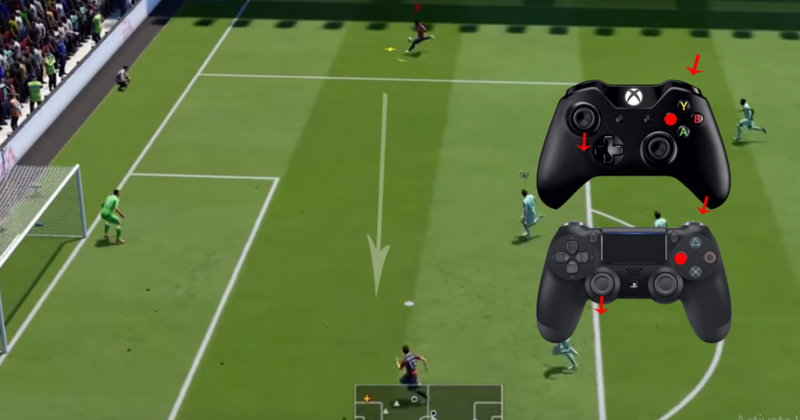 FIFA 19 allows you to control your goalkeeper’s position with the right analog stick. Use it to your advantage if you’re predicting a banger coming into your goal soon. You need to keep in mind, that you might not be the only player knowing how to move your goalkeeper. If you’re in a 1v1 situation, get as close to the goal as possible and hit the shot into the corner, which is more open. 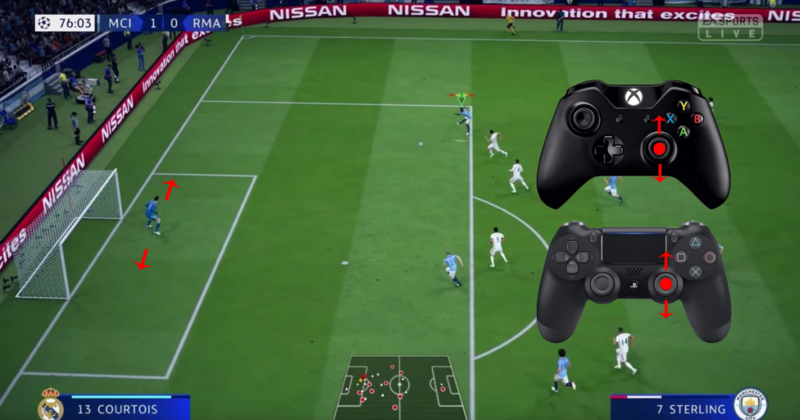 The opponents online usually go to the far side of the goal, so surprise them. A shot close to the nearest post might be something they’re not expecting. 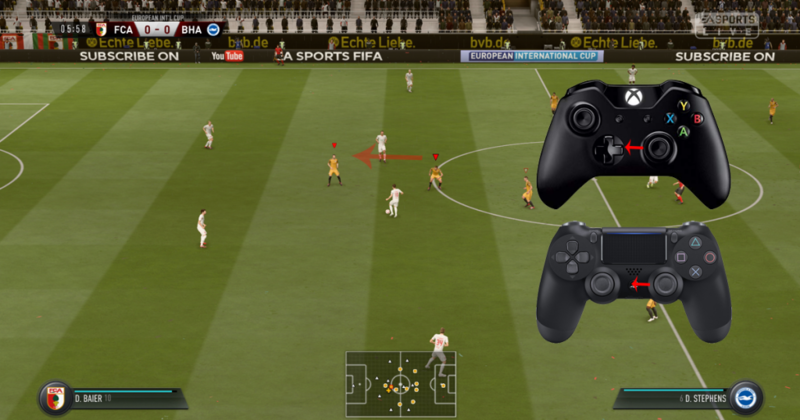 Right analog stick has been playing an important role in FIFA games recently. Instead of using R1/RB to switch to another defensive player, use the analog stick instead. By moving it towards the desired defensive player, you can choose the defender you want to control without a need to scrll through the whole line-up. Whenever you are shooting the ball, you can press the button for the second time, the moment the kicker touches the ball. This triggers ‘Timed Finishing’ grants a more successful shot. While it might take some time to learn this it’s a really useful option if regular shots are being kept out. 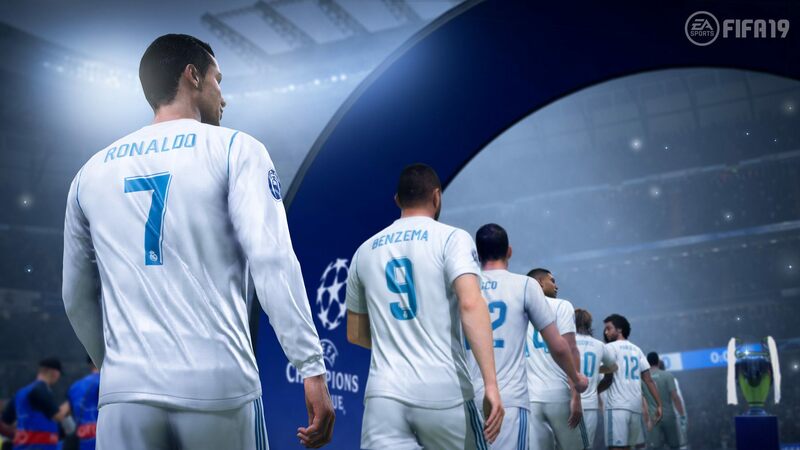 Community calls it one of the most overpowered features in FIFA today, therefore it’s highly recommended to learn for the new players. 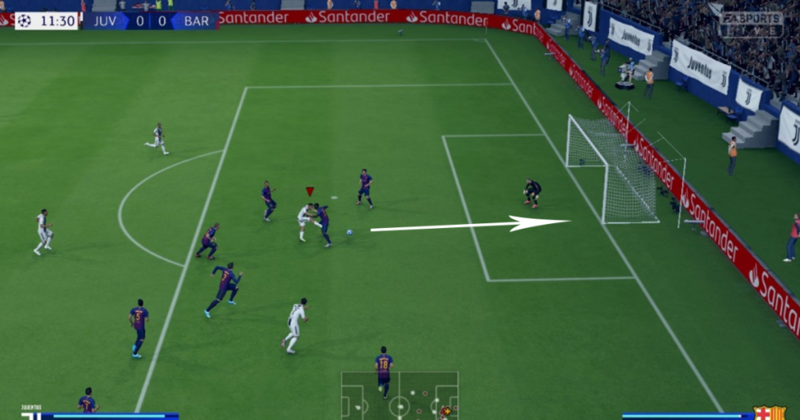 Going for the finesse shot with timed finishing is one of the main strategies of advanced FIFA tactics. Due to the ‘Timed Finishing’, FIFA quickly became a long-shot-sniper-contest. Once the opponent’s player is near the box, make sure to cover the stronger foot side with your defender, since it can be deadly when the shot is timed right. Rushing through wings on either side of the pitch and sending the ball to the box is a very popular way of attacking. However, a simple lob can result in the ball ending up in the goalies’ hands. However, if you see a clear line to one of your teammates, you can use the low cross on a counter-attack (R1/RB). This will send a low ball with almost pinpoint precision to your teammate. The rules of the game are quite simple: you score more goals – you win. But in order to do that, you will need to progress through the defense. When you’re in control of the ball, you are able to send your other teammates (preferably the attackers) forward by pressing L1/LB. This opens up many possibilities to pass a through ball and get yet another 1v1 situation. All you have to do now is to remember the tips we’ve already provided and BANG! 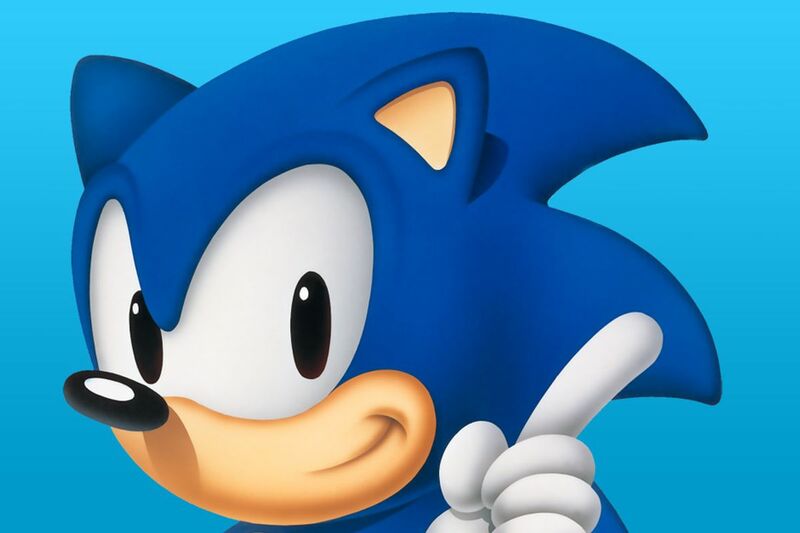 You’re ahead! Blazing Sale is now live on Eneba!